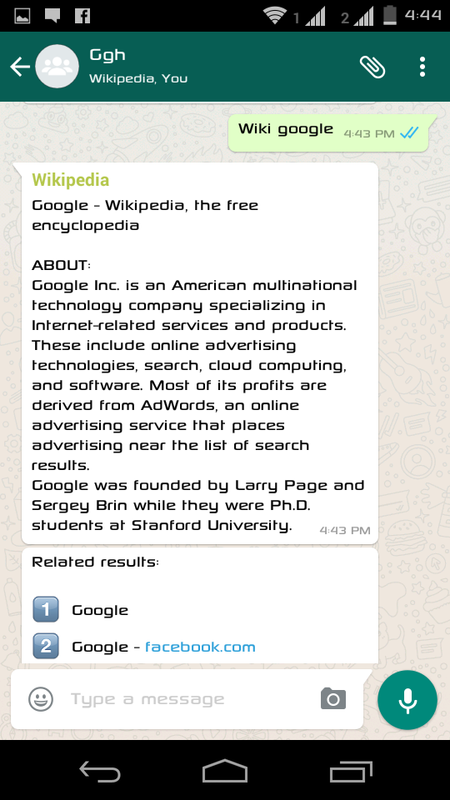 GeeksGyan is back with another Trick to get Free Wikipedia alerts through WhatsApp bot for free. Whatsapp has about 900 million users has become the most easyway to communicate in a cheap, fast and reliable way. So today in this post, I will tell about how to activate wikipedia service by WhatsApp bot . WhatsApp,which is one the most popular messaging app.So with this feature you can easily get any information such as news,dictionary, without google search. If you are looking for latest free recharge, then I strongly suggest you to follow this blog where the author shares some best free recharge tricks to get free recharge alerts . 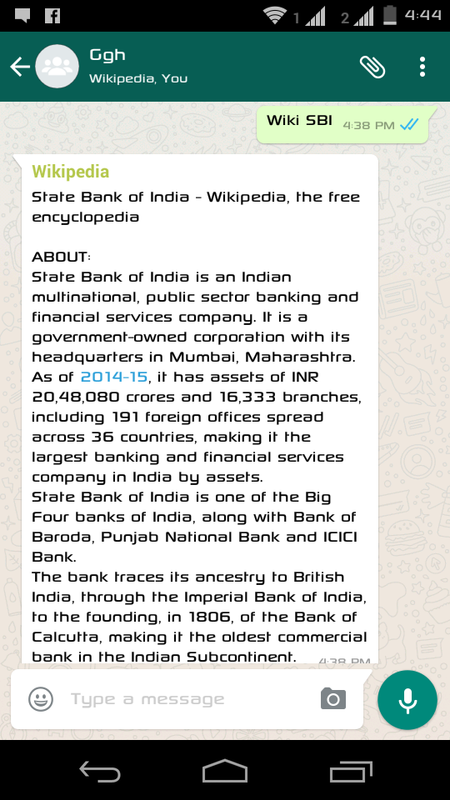 This whatsapp Bot is not related to official WhatsApp or wikipedia. The aim behind launching this free service is to provide important knowledge for free. Steps to Access Wikipedia via Whatsapp. First Save this phone number +16044491532 in your phone contact as Wikipedia. Now Create a Group with any Groupname and add this contact(wikipedia) only. You are already another contact by default: so wikipedia and you (only 2 members) become the members. Now post anything in that group with starting WIKI word as prefix with a space. "wiki<space>". Eg: if you want Information about "Google"
Now Wikipedia will reply you automatically in the group in just seconds. i am also not getting this contact in whatsapp. Wen are they realise it? is it true bcz can't the account on whatsapp of the no. When are they realise the bot?